Slowly but surely it's coming along. The arcs and rings are all finished. Now what's left is to stipple the background. This is a pretty good size quilt and wrestling it under my domestic machine is a real effort. Wish me luck! I admire your DSM quilting work. You are making great progress! For me, the tough part at this stage is taking enough breaks to be easy on my shoulders. When it's close to a finish I get excited to see it through. I have loved watching the progress on your pickle dish. I like how the colors play with the background. 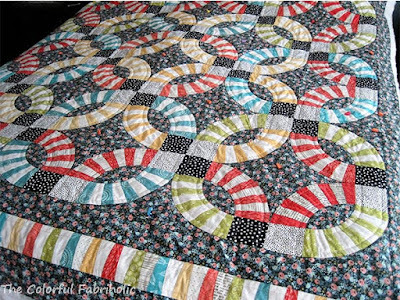 So great to see that you have only a little quilting left to complete it! It looks great Jan! Good luck with the stippling! 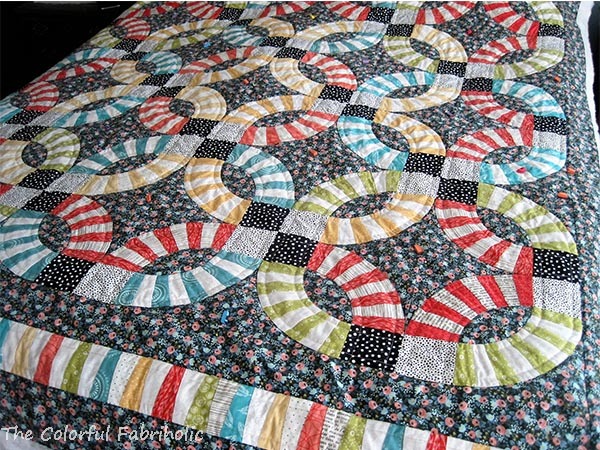 You need to celebrate after this quilt is finished! I had my doubts when you picked the dark background, but it has grown on me and I think you make the right decision. I still can't see this quilt without thinking about your DH's Charlie Brown comment! 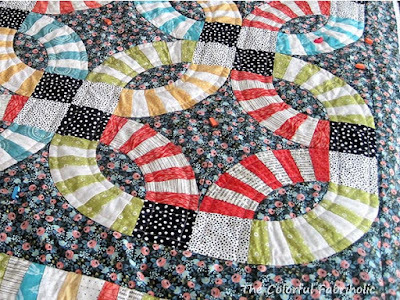 You've made a lot of progress on the quilting. 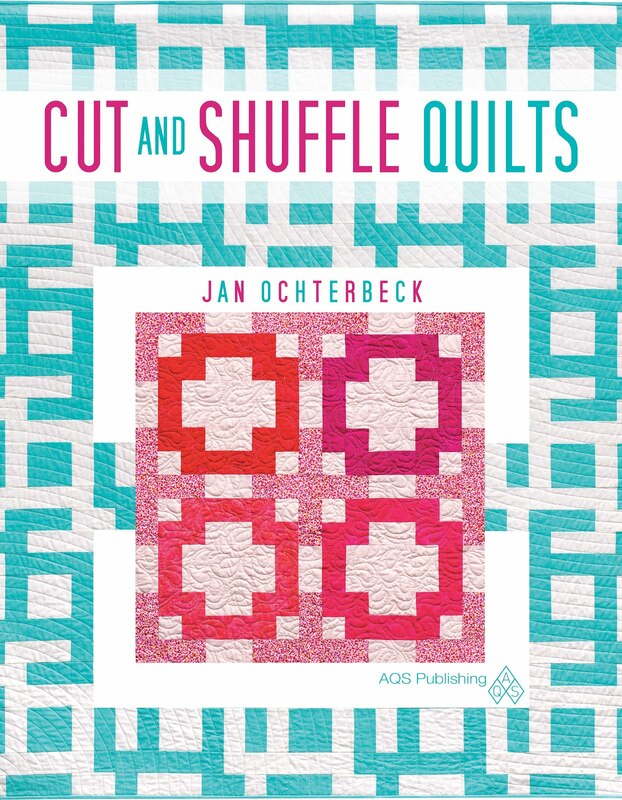 Good luck with the rest, hopefully it's not as cumbersome since the center blocks are all quilted.